Designed specifically for educational institutions. 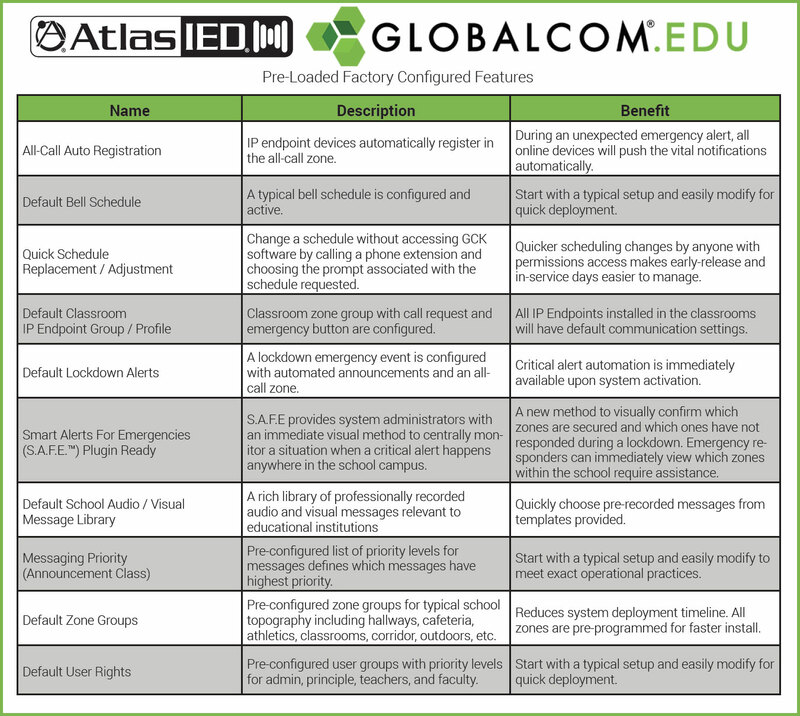 The heart of a GLOBALCOM®.EDU system. It is a fully-operational, software based network appliance that controls the flow of communication traffic. It dynamically sends and receives media from each endpoint while bridging between multiple network protocols simultaneously. 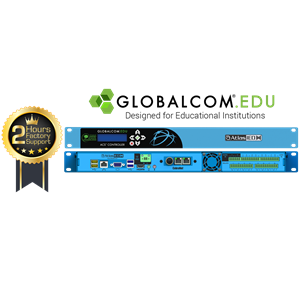 Engineered for maximum interoperability, the IP100-EDU-CS Series manages an entire system of IP and analog enabled speakers, digital mic stations, digital power amplifiers, display information systems and other network peripherals.